It is important to understand how the brain and body communicate in order to understand why post-concussion syndrome can have such long lasting effects. The brainstem is the body’s information highway. The area where it connects to the spinal cord is extremely small. It runs through the two bones of the upper neck vertebrae called the atlas and axis or C1 and C2. These bones make up the upper cervical spine and are responsible for holding the head in proper balance over the body. Even if those bones are misaligned by a ¼ of a millimeter, communication to the brain and body can be distorted. This leads to a number of health problems throughout the entire body. Let’s take a closer look at traumatic brain injuries (TBIs), the ongoing effects of concussions, the potential for experiencing post-concussion syndrome (PCS) without a blow to the head, and a natural way to relieve the symptoms of PCS. What Are the Risks of Traumatic Brian Injuries? Thus, surviving the injury itself is not the end of the concerns when a head injury occur. With this in mind, the best practice is to avoid head injuries in the first place. While some common causes, such as assault, may not be within a person’s control, there are certainly ways to prevent other major causes of concussion. What are the top causes of TBI in the Unnoted States? Three preventable causes include motor vehicle accidents, sports injuries, and falls among the elderly. Since this is such a dangerous type of injury, let’s isolate each of these primary concussion causes and address how the number of TBIs can be reduced with a few safety precautions that can be implemented by just about anyone. Insist on everyone in the vehicle wearing safety restraints regardless of a passenger’s age, the length of trip, or whether local laws require seat belt usage. This can help prevent injury in case of an accident. Use the appropriate seats for children, and keep children under the age of 12 in the backseat of the vehicle at all times. Car accidents are the cause of 56% of deaths related to TBI in the 5 to 14 age group, so protect young ones is particularly vital. Don’t drink and drive or operate a vehicle while under the influence of prescription medications that cause drowsiness. Help others to do the same by acting as a designated driver or calling a cab/Uber for a person who is under the influence. Implement concussion protocols. Players who are suspected of having a concussion should not return to play without being approved for activity by a healthcare professional. This is especially true when it comes to children. 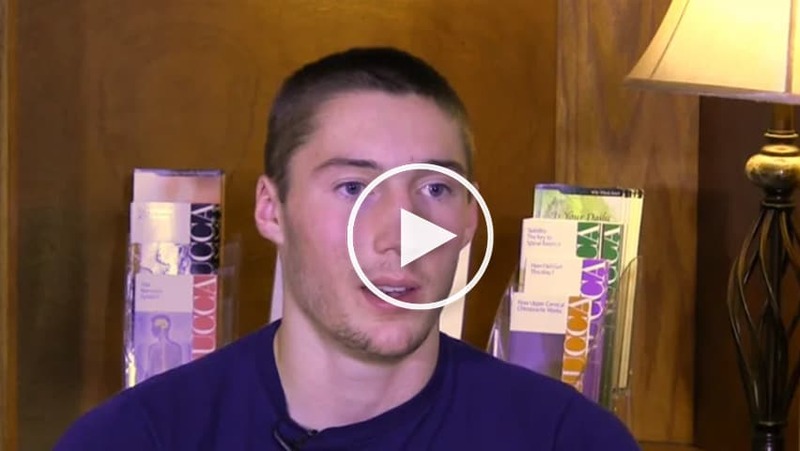 Talk to players about the dangers of concussions. By having an open discussion with players, you can work to prevent deception that may lead to a player returning too soon. Some may say they are fine and hide symptoms to prevent being benched. Especially with a big game on the line. You can also demand the type of safe play that protects fellow athletes. Alter the “win-at-any-cost” attitude that permeates modern sports. Safety must come first if a player is to have a long career and remain healthy enough to perform well. Nearly 80% of TBIs among the elderly occur during a fall. Many of these falls are preventable. Here are 3 ways to prevent concussions among the elderly. Keep the doctor involved. Most falls are related to vertigo or dizziness. If you experience these issues, seek the appropriate care to find out if the issue is correctable. Create a safer home environment. By reducing problems around the house that can cause falls, the number of concussion can be reduced. Fix or remove trip hazards. Install proper lighting. Use accessibility features as-needed such as a chair in the shower or grip bars by the toilet. Maintain an exercise routine. You may not be able to exercise like a young person, but maintaining the muscles needed for stability is an important part of reducing falls and head injuries. What Are the Symptoms of Post-Concussion Syndrome? These are just some of the most common symptoms, and other effects may accompany these. It is important to note that these symptoms are not the result of damage to the brain. Ongoing symptoms are caused by changes in the function of the brain and nervous system that were triggered by the initial trauma. Is Post-Concussion Syndrome a Misnomer? Some researchers want to change the name of the condition to post-traumatic syndrome because these symptoms can arise following many other types of trauma such as a whiplash injury or a fall that causes an injury to an arm or a leg. This research, performed in Australia, is provided as further evidence that symptoms are caused by central nervous system changes and not brain damage. Further research performed in the UK revealed similar results. The term post-traumatic stress disorder has also been coined to refer specifically to depression and anxiety that lingers following trauma. How Does Post-Concussion Syndrome Relate to the Upper Cervical Spine? 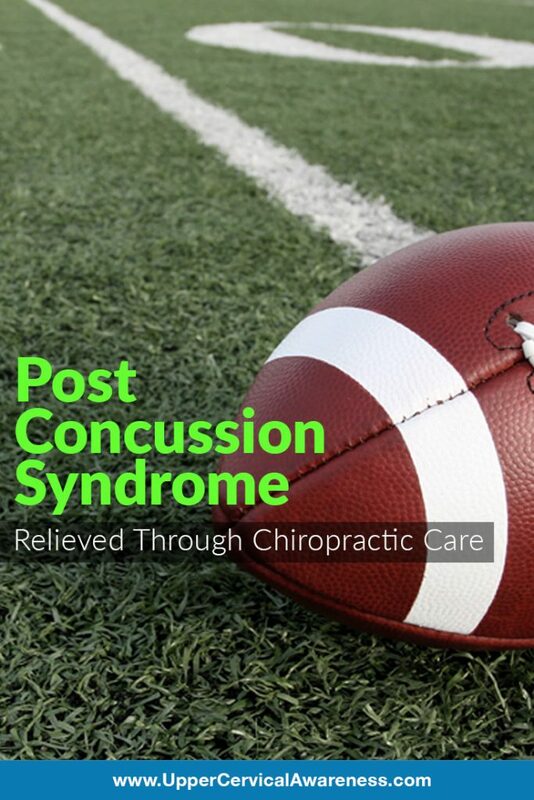 With this background information on concussions, traumatic injuries, and the symptoms of post-concussion syndrome, the link to upper cervical misalignments is easier to discern. Consider some of the following effects of a misaligned atlas (C1) and axis (C2). Impaired Brainstems Function – Since the C1 houses and protects the brainstem, even a slight misalignment can place pressure on this vital part of the nervous system and impair proper function. As a result, communication between the brain and body may suffer. Many of the symptoms noted above can occur due to altered brainstem function. Inhibited Blood Flow to the Brain – The upper cervical spine plays a vital role in facilitating blood flow to the brain. The vertebral foramen are openings in the cervical vertebrae that leave a passageway for the vertebral arteries. These arteries bring oxygen-rich blood to the brain. Misalignments can cause the vessels bringing blood to the brain to become kinked. If blood flow to certain parts of the brain is inhibited, many of the symptoms noted above may occur. Reduced Cerebrospinal Fluid Drainage – When the C1 and C2 are misaligned, cerebrospinal fluid may cease to drain properly from the brain to the spinal cord. The result can be intracranial pressure that leads to many of the symptoms of post-concussion syndrome and other chronic conditions. This issue has been noted using an upright MRI to track CSF drainage both before and after an upper cervical misalignment was corrected. In this research, drainage improves once the blockage has been corrected. For one former professional American football star, the dramatic effects were life-changing. He went from having to carry his wife’s name and contact info on a card in case he became disoriented while away from home to being able to function on a fairly normal basis. Now that we see the effects that upper cervical misalignments can have on the nervous system, it is easy to see how such a subluxation can lead to migraines, vertigo, cognitive difficulties, and all of the other telltale signs of post-concussion or post-traumatic syndrome. So let’s take a closer look at what can be the result when these misalignments are corrected by examining a case study. A 23-year-old female sought out the care of an upper cervical chiropractor after suffering a fall that resulted in her being diagnosed with a concussion. She had a 10-year history of headaches but reported that they had gotten increasingly worse in the 5 months after her fall. She also complained of positional vertigo (dizziness when moving the head) that came on only after the concussion. The chiropractor examined her and determined that she had an imbalance in her body due to differing leg length caused by a misalignment in the upper neck. When she received her first adjustment, she immediately had relief of her headaches and vertigo. X-rays indicated improvement in the position of the C1 and C2. The next day, her follow-up exam revealed that her legs were more in balance. She continued receiving care twice a month. She no longer had vertigo or suffered headaches. Even those that she was experiencing before the accident were gone. This case study reveals that not only can post-concussion symptoms be related to an upper cervical misalignment but that correcting the subluxation can lead to symptomatic relief as central nervous system function returns to normal. The examples above show the benefits of upper cervical chiropractic for a 5-month long case of PCS as well as for the effects following head injuries that had occurred years in the past (as in the case of the football star). But you may still be wondering what upper cervical chiropractic is and how it differs from general chiropractic. Here are a few things you should know about this subset of chiropractic care. Low-Force Corrections – Adjustments are not the high-speed forcing, popping, and twisting that most people associate with chiropractic care. These adjustments are provided either by hand or by an adjusting instrument and involve very gentle and precise adjustments. A patient often feels very little of the adjustment itself but may experience a dramatic difference in the effects of the adjustment. The football player mentioned above said that it felt like a bottle had been uncorked. Precise Adjustments – Adjustments are extremely precise because diagnostic imaging is used to provide the exact location and degree of misalignment. Some methods can measure a subluxation to hundredths of a degree. That kind of precision leads to effective and long-lasting adjustments that give the body the time it needs to heal from central nervous system problems. Cost-Effective Care – The combination of precise, long-lasting adjustments and gentle corrections that the body is willing to accept, lead to a less frequent need for maintenance. As atlas adjustments hold longer and longer, patient visits can be spread out, making this a cost-effective form of care. Upper cervical chiropractors have been specifically trained to find even the slightest misalignments of the C1 and C2 vertebrae. These are the exact misalignments that can lead to changes in central nervous system function and post-concussion syndrome symptoms. Once the spine is properly realigned, many patients notice that symptoms are reduced or eliminated completely, sometimes even from the very first adjustment. If you are suffering from the effects of post-concussion syndrome, even if you can’t remember the head or neck injury or other trauma that may have caused the issues, it is worth having an examination performed by an upper cervical chiropractor to see if a C1 or C2 subluxation exists. If so, you may be a gentle adjustment away from natural relief. To learn more, contact an upper cervical chiropractor in a location near you to schedule a consultation.